The town’s homesite bylaw will not be enough, according to housing consultants. The Chilmark planning board got some sobering news on Jan. 23 when planners Jennifer Goldson of JM Goldson Community Preservation + Planning in Roslindale, and Judi Barrett of RKG Associates in Boston, presented a draft of a new town housing production plan (HPP). The proposal included 11 strategies for reaching the town’s housing goals, including the construction of 20 units of affordable housing. And the housing experts rejected the town’s existing zoning bylaw as a useful alternative. Homesite housing, part of current town zoning, “is not the path to affordable housing,” Ms. Goldson and Ms. Barrett explained. “You need to create land for nonprofits to build affordable housing,” Ms. Barrett said. Ms. Goldson suggested the town consider establishing a village residential district in the vicinity of the town hall. The planners also recommended using natural resource protection zoning (NRPZ) called “flexible siting” in Chilmark’s zoning bylaws, to free up land on which to build affordable housing. Ms. Barrett displayed a map of the town, marked with three potential sites for affordable housing on town-owned parcels. The first site, on Middle Line Road, is an eight-acre lot next to the former town landfill. Ms. Barrett said there are no constraints on development at the site. She recommended that a feasibility study be done to determine how many units could fit on the parcel. Two parcels are on Pasture Road, near a highway department storage building and a ballfield. Nine out of a total of 21.5 acres could be developed at this location. Ms. Barrett said that the Middle Line and Pasture Road sites together would not yield the 20 units of the HPP goal. Ms. Goldson then went through the proposed action plan. Two of the strategies included moving forward with special legislation. One would increase the existing real estate transfer fee by 0.5 percent to promote creation of affordable housing, and the second would create an excise tax on seasonal rentals, similar to the existing tax on hotel rooms. Ms. Goldson recommended that the town pursue these strategies first, then tackle those that involved changes to the zoning bylaws later. 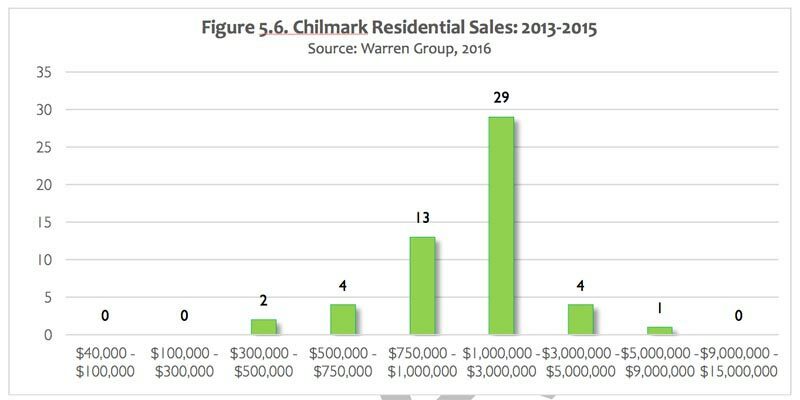 In a phone interview with The Times after the Jan. 23 meeting, Ms. Goldson said that the strongest demand for housing in Chilmark is for the seasonal home market, where there is a good profit margin. She said that developers were unlikely to attempt to build projects that required that 20 to 25 percent of the units have long-term affordability restrictions, which cut into their profit margins. Ms. Goldson described the village residential district as a “smart growth” opportunity. Smart growth is a planning practice that encourages denser, walkable settings with a mixture of uses. The planner emphasized building houses in the town, and told the planning board that the state will not approve Chilmark’s first housing plan, namely to build affordable housing in another town, paid for by Chilmark. Ms. Goldson made it clear that she did not envision large-scale projects for Chilmark. Multifamily housing should consist of between four and six units, perhaps as many as eight. Ms. Goldson said comprehensive permits are generally used strategically by communities in order to build housing that zoning does not allow, but the community wants. 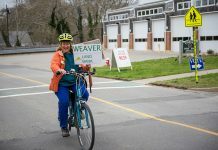 In Chilmark she thought that perhaps this strategy could be used to subdivide large, older single-family homes or commercial buildings to create multiunit dwellings. To do this through a comprehensive permit, a developer’s plan would have to be approved by the town’s board of zoning appeals. Ms. Goldson did not think the town should choose between building in a village-like setting versus the more isolated sites like the ones she and Ms. Barrett proposed in their presentation. Rather, she thought Chilmark should pursue both approaches. “You could do something appropriate and reasonable,” she said. “You are probably going to need a car in Chilmark no matter where you live; their land-use plan is scattered.” She said that because the town already owned the parcels at Midline and Pasture roads, the reduced overall cost would help make houses there affordable. 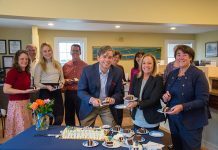 Ms. Goldson, Ms. Barrett, and their colleagues were hired by the Martha’s Vineyard Commission to produce the HPPs for all six towns on the Island, and also an Island-wide plan. The project began with three workshops held in all the towns in November and December. The object of the first workshop was to create a vision for housing in a town. In the second, participants were expected to outline what kind of housing they wanted. And in the third workshop they discussed how to realize those goals. 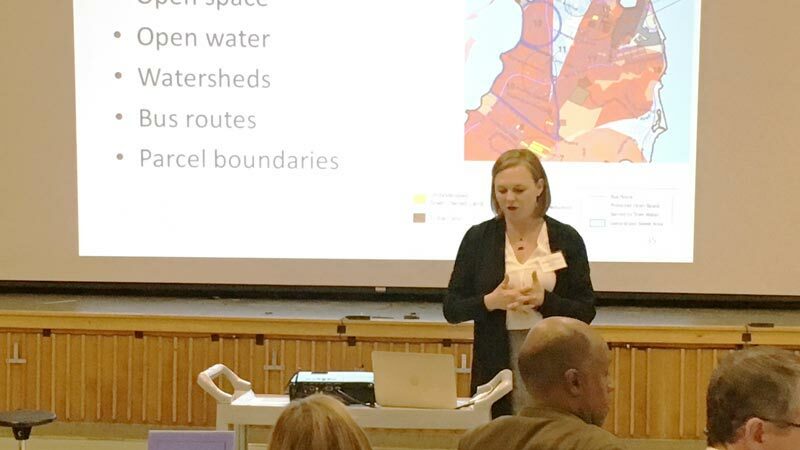 She described each workshop as a dialogue between the planners and the residents who attended the events. The planners would produce a document to share with the participants at a subsequent meeting and collect their feedback. The final report is a synthesis of the consultants’ views and those of town residents. Ms. Goldson has produced HPPs all over the state. Asked what differences she found between Island and mainland residents, her answer may surprise Islanders.